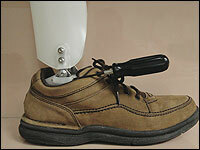 Design prosthetic and orthotic devices with WillowWood's OMEGA® Tracer® System. By using the OMEGA Scanner for shape capture, practitioners are able to obtain accurate, three-dimensional electronic images of patient shapes. OMEGA Tracer's intuitive software allows for shapes to be quickly and accurately modified, fabricated, and stored for future reference. Create numerous O&P devices with the OMEGA Tracer System and the OMEGA Scanner: transtibial, transfemoral, and upper-extremity sockets; custom Alpha DESIGN® Liners; custom breast prostheses; cranials; AFOs; insoles; and spinals. EXOS O&P Fastening Kits deliver Boa® high-performance, cable-closure technology for custom AFOs and other O&P applications. A unique business partnership between TRS Prosthetics, EXOS Corporation, and Boa Technology is making these products available to the O&P market. The Kits, available in two power levels, provide a wide assortment of Boa components, which include reels, guides, and lacing cable, and use and fabrication instructions. The Kits can be used to create custom, individual O&P products or for prototyping. 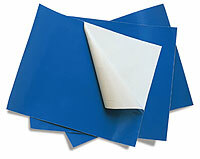 EXOS's unique, low-temperature, thermoformable laminate sheets can also be ordered with these Kits. Fabricate a Custom KAFO in Less Than an Hour! PEL Supply offers a low-profile, functional orthotic solution for the management of genu recurvatum combined with footdrop and ankle instability. ToeOFF® and BlueRocker™, from Allard USA, are effective gait-rehabilitation orthoses. 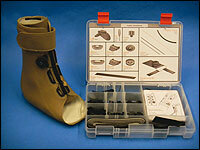 The Combo is a lightweight, removable knee-brace attachment for ToeOFF or BlueRocker that manages genu recurvatum. Orthofeet is adding breathable Mary Jane shoes, which integrate a chic design with a stretchy fit and exceptional comfort. 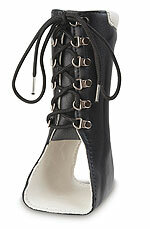 Two-way padded strap enables fastening on either side of the shoe and an easy adjustment of the strap length. 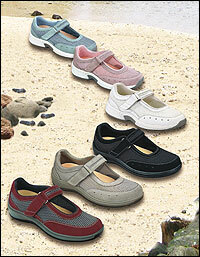 Stretchable fabric allows the upper to conform to feet with bunions and hammer toes. The Venture® combines College Park's trademark multiaxial design with a higher-frequency dynamic response for more active users. Increasing the toe lever to match the anatomical foot length allows for natural energy distribution. OPTEC is proud to present our new Stealth PRO™, which is ideal for patients requiring firm support. The Stealth's revolutionary, intercrossing strapping system, along with the anterior opening design, combines with a rigid back panel to provide spinal stabilization from the sacrococcygeal junction to the T9 vertebra. The Stealth PRO back panel attaches to the Stealth brace with a secure elastic suspender, which ensures the same fit every time with no rotation of either component when donning. PDAC recently approved both the Stealth PRO2 and Stealth PRO4 for HCPCS code L0631. 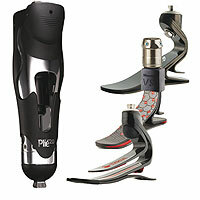 Through the end of June 2011, any SPS purchase of a Plié 2.0 MPC Knee will qualify you to receive a FREE Freedom Series™ prosthetic foot (includes Pacifica®, Pacifica LP, Highlander®, or Sierra® foot) and a FREE foot shell. Alternatively, you may choose a Freedom Vertical Shock* foot product for 50% off the list price plus a FREE foot shell with your SPS purchase of a Plié 2.0 MPC Knee. *All Renegade® and Silhouette® models as well as the THRIVE™ prosthetic foot are eligible under this limited-time promotion. Amputees wearing cotton cast socks oft en complain about their durability. Our filler sock is a 50/50 cotton/polyester blend with a nylon-reinforced toe. 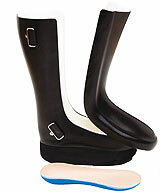 Th ey last longer than cotton cast socks and are less expensive than one-ply prosthetic socks. Provel off ers cost-eff ective, fast, easy-to-use, and reliable O&P automation. The D2 digitizer, C7 carver, and T7 thermoformer are appropriate for small clinics as well as large central fabs. All are AOP file compatible and backed by a two-year warranty. The D2 digitizer allows automated shape capture of prosthetic casts with unmatched accuracy. The C7 carver is not only fast and precise, its self-contained dust-collection system is extremely quiet. The T7 thermoformer consistently produces high-quality thermoplastic sockets from industry-standard preforms. 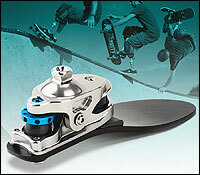 The new, patented, spherical-axis FC2 Ankle, available at SPS, provides up to 70° of anterior-posterior range of motion thanks to its plantar/dorsiflexion-stop setscrews. The unique design, made of high-quality, heat-treated stainless steel, allows for adjustments to be made while the patient is wearing the orthosis. The pre-contoured design saves fabrication time while facilitating a low-profile finish. 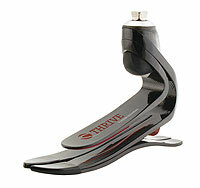 The ball-and-socket design provides 26° of adjustability at the ankle axis. A self-squaring molding dummy is available to significantly reduce fabrication time. Fabtech Systems has redeveloped its website to take users to the definitive level of usability. Ability to purchase Fabtech products online, including access to Internet/e-mail-only coupons. Access to documents, catalogs, and forms. Ability to view order history and current order status, print invoices, and reorder quickly and easily. Access to product and service video demos and service information sheets. A distributor support category with access to photos/logos. Online CAD/CAM C-fab job-tracking service. Fabtech looks forward to continuing to evolve its online presence.